As my regular readers know, I have a tendency to figuratively bite off more than I can chew when it comes to party prep. Instead of just picking one thing to make, I feel the need to make two or three. I’m sure it’s the expression of my Italian gene that drives the need to feed everyone and feed them well. So last Easter, in addition to making the deviled eggs, I made 2.5 desserts. I’d say 3, but in reality, I turned a 3 layer chocolate cake into a 2 layer birds nest cake and peep cupcakes. This year I limited myself to 2 desserts and the deviled eggs, not only considering the recipe complexity when selecting the desserts, but, oh, look, starting on them on Friday instead of leaving it all until Saturday afternoon and Sunday morning. I really wanted to make a giant peep cake. It’s absurd to buy such a pan that literally has one use, one purpose, and would probably really only be used once because I’d be onto the next interesting cake to bake. But it was on sale for half price at Sur La Table. Somehow $9.99 seemed like an acceptable price to pay for the pan even if I did only use it once. Alas, they were sold out when Mom went to pick it up. But she did find peep cupcake liners that came with bunny ear decorations, which greatly simplified dessert two. Realistically that peep cake would have been a lot of work, particularly if the first one didn’t come out right which is definitely a risk baking a 3D chick-shaped cake. 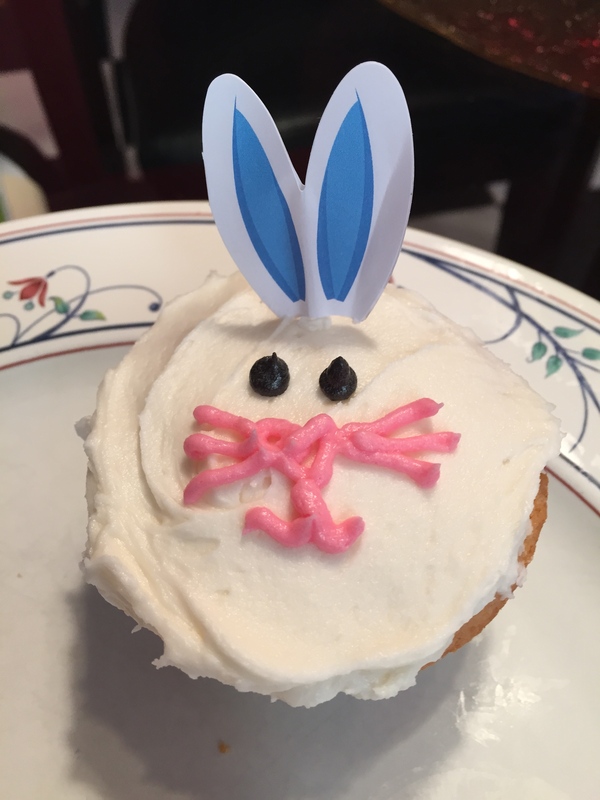 For the bunny cupcakes, I went to my reliable favorite – the Back in the Day Bakery Cookbook. (I know. I’m obsessed. But the cookbook is SO GOOD. And what’s even more exciting is that when I sat down to write this post, I saw that they have come out with a NEW one. Yay, yay, yay!!!!) I’d been wanting to try their old fashioned cupcakes with buttercream frosting. I’m always fascinated by cooking technique. I suppose I am more of a technician than a recipe follower. Understanding how the technique works fascinates me and allows me options when I don’t have the right ingredient or want to try to modify a recipe to achieve a different outcome. (This is why I love the show Chopped so much. And, hello, Chopped, this is why you need to have me on your amateur show!). This particular recipe is more like bread-making than cupcake making, which Cheryl points out gives the cupcake a different texture. And by different, I mean incredible. The cake is airy, but substantial, a lattice evenly distributed throughout, and tasting of vanilla, a hint of butter, and the slightest note of caramel from the crisp exterior of the top. It taste like the cakes I remember as a kid. Like homemade. The recipe calls for cake flour, and I recommend using it. I tried the cornstarch/flour cake flour substitute which has worked just fine in other recipes. However, these cupcakes didn’t raise as much as I think they should have which I’m blaming on this substitution. Despite that, the were still delicious, so if you don’t have cake flour, use the substitute. The recipe says it makes 24. I filled my cups full, and I still got 30. Buttercream can be a bit dependent on heat and humidity. If it’s dry, you’ll need less powdered sugar and a bit more milk. If it’s damp, the reverse will be true. I really like the way she recommends it be made, starting with the 4 cups of powedered sugar and adding up to 3 more. Add the additional sugar slowly, like in 1/4 to 1/2 cup increments. Don’t get impatient and dump it all in or you’ll end up going back and forth with adding more milk then more sugar and ending up with buttercream that doesn’t taste right because the proportions are off. It seems like a lot of buttercream. But even if you just frost them lightly without adding any decorative frosting enhancements, you’ll still need more than half a batch of buttercream, and seriously, who wants to be bothered with trying to adjust a recipe for 3/4 of it? The buttercream is pretty sweet as most buttercream is. It’s your call, but I wouldn’t frost the cupcakes with as much as she does in her illustrations. I love my frosting, but that would be too much even for me. Position a rack in the lower third of the oven and preheat the oven to 350°F. Line 24 cupcake cups with paper liners. In a large measuring cup or a small bowl, mix together the milk and vanilla; set aside. In the bowl of a stand mixer fitted with the paddle attachment (or in a large mixing bowl, using a handheld mixer), combine both flours, the sugar, baking powder, and salt and mix on low speed for 2 to 3 minutes, until thoroughly combined. 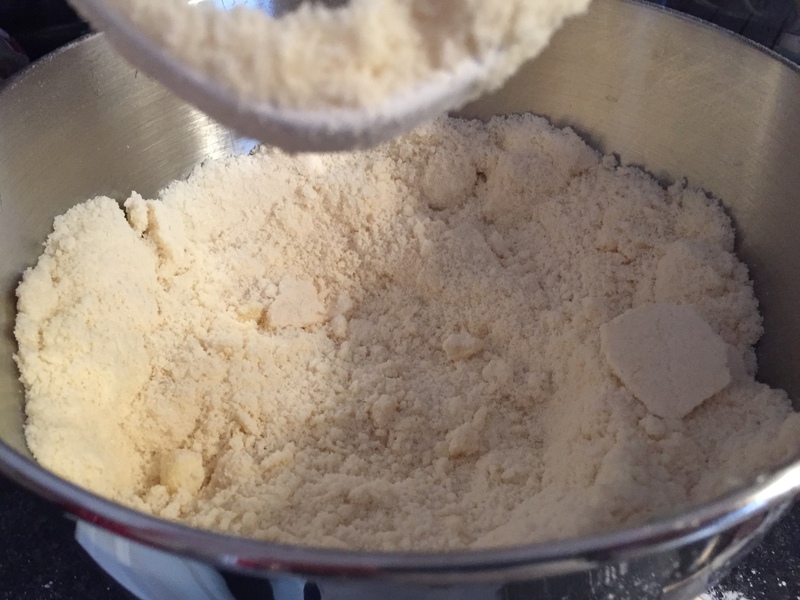 With the mixer on low speed, add the cubed butter a few pieces at a time, mixing for about 2 minutes, until the mixture resembles coarse sand. 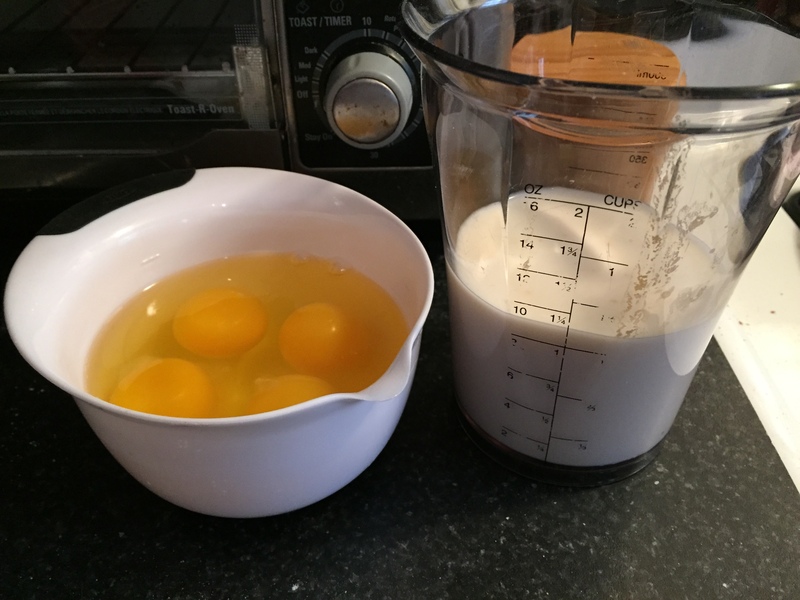 With the mixer on medium speed, add the eggs one at a time, mixing well after each addition. Turn the speed to low and gradually add the milk and vanilla, then mix for another 1 to 2 minutes. Remove the bowl from the mixer and, using a rubber spatula, incorporate any ingredients hiding at the bottom of the bowl, making sure the batter is completely mixed. With a large ice cream scoop or spoon, scoop the batter into the prepared cupcake cups, filling each baking cup about two-thirds full. Bake for 20 to 25 minutes, until a cake tester inserted in the center of a cupcake comes out clean. Let cool for at least 20 minutes. 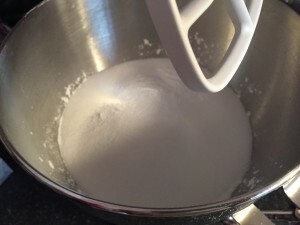 In the bowl of a stand mixer fitted with the paddle attachment (or in a large mixing bowl, using a handheld mixer), cream the butter on medium speed until light and fluffy, 2 to 3 minutes. Add 4 cups of the confectioners’ sugar, the milk, and vanilla and mix on low speed until smooth and creamy, 2 to 3 minutes. Gradually add up to 3 cups more sugar, mixing on low speed, until the frosting reaches the desired light and fluffy consistency, 3 to 5 minutes. If desired, to tint the frosting, add a drop or two of food coloring to the frosting, mixing well; add more coloring as necessary until you reach the desired shade. If you want multiple colors, scoop the frosting into several bowls, then add the food coloring. The frosting can be stored in an airtight container at room temperature for up to 2 days. 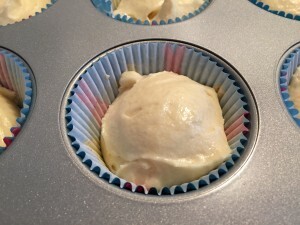 To frost the cupcakes: Using a spatula or a butter knife, spread the tops of the cupcakes with swirls of frosting. Top with sprinkles, if desired. Make sure the cupcakes are cooled. Divide frosting into thirds. Keep 2/3 white. Split the remaining 1/3 into thirds again. Tint 2/3 of it pink. Tint the remaining 1/3 black. Frost the cupcakes with the white keeping the frosting relatively flat across the top. Fill a piping bag with the pink frosting. Using a #2 or #3 wilton round tip, pipe on bunny nose, mouth and whiskers on all cupcakes. Fill a piping bag with the black frosting. Using a #2 or #3 tip, pipe on the eyes. Insert bunny ears just above the eyes. Eat, drink & be local chronicles my adventures in discovering, cooking, and eating delicious food. Join me in rediscovering the fun and satisfaction of cooking a delicious homemade meal, the surprise and delight of finding a spectacular independent restaurant, and the pleasure of eating locally-grown food.